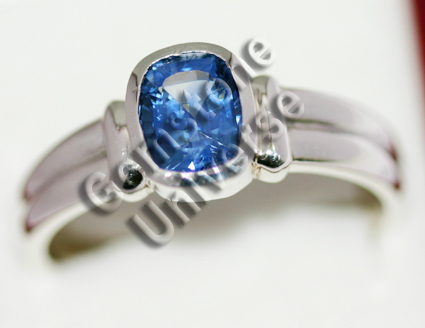 1) Natural Ceylon Blue Sapphire of 2.70 carats set in Sterling Silver 925 Gents ring. This is a very exquisite Blue Sapphire that comes very close to the famed Kashmir color Blue Sapphire even though this was mined and cut in Sri Lanka. Shipped to Patron in New York, USA. Final Price all inclusive USD($) 1747/ INR Rs. 80641/-. Pristine gem fully natural and unheated. 2) Natural Ceylon Blue Sapphire of 2.70 carats set in Sterling Silver 925 Gents ring.